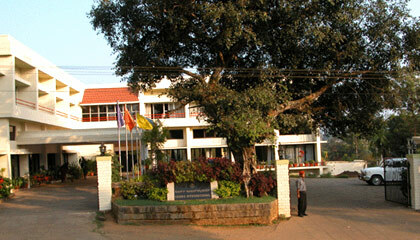 Hotel Coorg International is centrally located and it is very near to the bus stand. 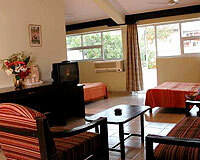 Hotel Coorg International is a popular hotel of Coorg. 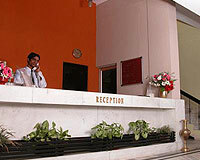 The hotel is centrally located and its convenient location is one of reason for its popularity. 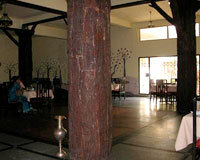 Despite its central location, the well-designed Hotel Coorg International is a peaceful retreat. 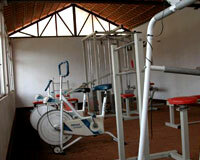 It provides all the modern facilities including a swimming pool and health club and attractive personal service in an elegant surrounding that is steeped in culture. 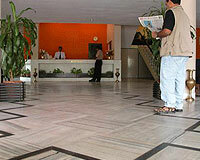 The hotel has 25 rooms. 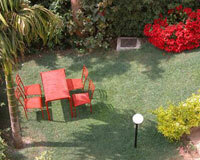 The rooms are categorized into 15 Double Rooms, 5 Deluxe Rooms and 5 Suites. Every room is luxuriously furnished, with a gentle hush decor, stylish up-holster and id designed to have its own uniqueness. Every room has spacious bathrooms with modern fixtures, hot and cold water supported by an efficient hydro-pneumatic system for regular water pressure, multi channel circuit television with a separate channel for music and telephone through EPABX. 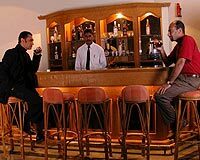 Silver Oaks: A multi-cuisine restaurant with wooden dance floor serving Indian, Continental, Chinese and ethnic Coorg cuisines.